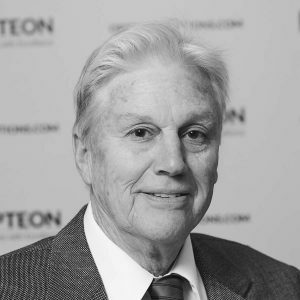 Brian qualified as a registered valuer in 1986 and became a part owner and Director of Sheldon & Partners Limited (now Opteon NZ) in 1987. Brian has spent his entire valuation career with Sheldon & Partners Limited. Brian also has experience developing start-up businesses and as a real estate agent. Brian is a Fellow of the Property Institute and a Fellow of the New Zealand Institute of Valuers and has served on the Auckland Branch Committee and National Board of the New Zealand Institute of Valuers. Academic qualifications include a Bachelor of Science and a Post Graduate Diploma in Business and Industrial Administration. Brian has a wide experience in a range of valuation work throughout Auckland and his extensive valuation experience and diverse business background allow him to take on the challenge of more difficult assignments. On a day to day basis, valuations are likely to be compensation, commercial/industrial, insurance, subdivisions and special purpose properties, such as childcare centres. Of particular interest to Brian is compensation work where he seeks to get a fair deal both for property owners whose land is being taken under The Public Works Act and the land-taking authority. Brian’s primary responsibility is working with the commercial and industrial team but he also helps with the mentoring of associates and training of un-registered valuers.